The Ocean At The Bluffs Bldg. Jupiter Homes for Sale. Search All 16,000+ Jupiter Homes For Sale in the MLS on Jupiter FL Homes Online. Jupiter Homes for Sale with photos & videos. Jupiter homes for sale are located near an area known for its beautiful beaches and friendly communities. In fact, the town was rated amongst the top Happiest Seaside Towns in America by Coastal Living in 2012. The area’s beautiful beaches are just the start of what Jupiter has to offer, luxury homes, golf courses, excellent schools, and a vast range of other resources and amenities make this town the place to be. Some of Florida’s most desired real estate is found within Jupiter homes for sale, a town rapidly becoming known for its luxury homes and high quality of life. High-end, waterfront real estate provides for beautiful homes beyond compare. Upscale communities feature everything from private marinas to expansive clubhouses with spectacular views of the surrounding waters. Jupiter townhouses and condominiums also provide wonderful options for those who prefer a laid-back and low-maintenance home. Search all Jupiter Homes For Sale here and easily get access to the local MLS system where you will get the most current and accurate listing information available and updated every 5 minutes. Jupiter is also home to Abacoa, a beautiful master-planned community within the town. Abacoa was first developed back in 1997, and has grown into one of the area’s most popular neighborhoods. The community is home to range of wonderful recreational facilities, including wonderful sports centers like the Roger Dean Stadium and Abacoa Golf Club. There are also plenty of trails for walking or biking trails, lakes, and parks with both basketball and tennis courts. Jupiter is the perfect place for residents who like to keep active outdoors. The town is filled with friendly parks, golf courses, and plenty of that beautiful Florida shoreline. The abundance of clear, blue waters off of the coast are perfect for boating, surfing, and any number of water sports. Get all of the Jupiter Homes For Sale access today. Jupiter’s Riverbend Park is a wonderful place to spend the day surrounded by nature. As one of the state’s most scenic parks, there is never a shortage of stunning views and wildlife to observe. Visitors to Riverbend can enjoy kayaking, biking, and hiking amongst the scenery, or simply enjoy a relaxing picnic under the huge tiki huts grass. With parks, beaches, and boating, there are so many ways to enjoy the good life under the Florida sun in Jupiter. Jupiter is also home to a number of places for enjoying shopping, dining, and entertainment. The town is home to many restaurants that serve up delicious and incredibly fresh seafood. Downtown at the Gardens, a shopping center in neighboring Palm Beach Gardens, places residents just minutes away from even more upscale shops, restaurants, and galleries. 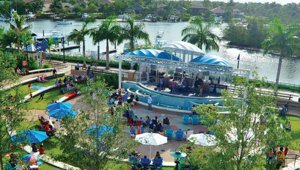 Harbourside Place, found on Jupiter’s Riverwalk is the town’s new and exciting downtown destination for dining, shopping, boating, and entertainment. The public access marina makes it easy to dock for a day of shopping and waterfront dining. The Harbourside Amphitheatre is the perfect place to enjoy everything from live music to waterfront yoga. Harbourside also features the beautiful Wyndham Grand Jupiter hotel, where visitors can stay in the lap of luxury. 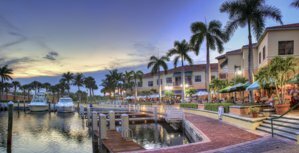 Harbourside is also bordered on one end by Jupiter’s Riverwalk, which rests along the Loxahatchee River. The Riverwalk offers residents a wonderful place to stroll alongside scenic, waterfront views. As you stroll along the Riverwalk, you will pass a number of great, local shops and restaurants. There are so many places to dine, shop, and be entertained in Jupiter. Both day and night, there is always something to do. One of Jupiter’s oldest and most well-known attractions is the Jupiter Lighthouse, which dates all the way back to 1860. This lighthouse is the unofficial symbol of the town and is visited by locals and tourists alike. Today, it houses a museum with regular tours and frequent special events. 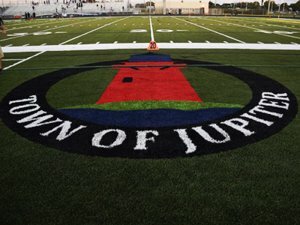 Residents of Jupiter are served by the School District of Palm Beach County. The area’s impressive public and private schools lend to the town’s reputation as a wonderful place for all. 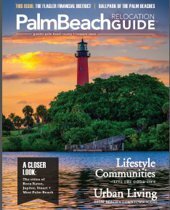 Be sure to get the Palm Beach County School Guide. Jupiter's Elementary schools are very highly rated as are Jupiter Middle and Jupiter’s high schools. Jupiter Community High School and William T. Dwyer High School, are both known for impressive academic programs. 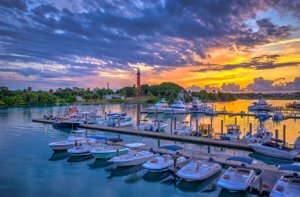 Jupiter FL is much more than a tourist destination, the town is a leading center in science and technology. The town is proudly home to Scripps Florida, a state-of-the-art nonprofit biomedical research facility. With more than 600 employees and three research buildings, Scripps has the resources and intelligence to make amazing discoveries in the medical field. The internationally renowned Max Planck Florida Institute is also found within Jupiter. The institute offers a number of different research, training, and educational opportunities. With plans to collaborate with Scripps and the Florida Atlantic University, they hope to soon provide even more opportunities for innovation. Jupiter is one of Florida’s gems, a community treasured and loved by all who reside there. The town’s friendly community, great schools, and beautiful surroundings make it the perfect place to raise a family or enjoy your golden years. Jupiter is not a place to miss when looking for your perfect home in Florida. Most Jupiter homes for sale area buyers want new real estate listings delivered to their inbox. It's easy, quick, & free. For this free service simply save your search or contact us and we will help save your search for you. We know you will love searching for homes, condos, and townhouses on this website because each detail has been created with you in mind. You can search every listing in the Realtor's Multiple Listing Service just like a Realtor. Buying a home is one of the most exciting times in your life. Making the smart move of choosing the right REALTORS® is your first step. Check out our Free Relocation Guide full range of services and experience at your disposal as we help you find the home that best suits you and your family. We pride ourselves on repeat business and hope you’ll come to understand why. 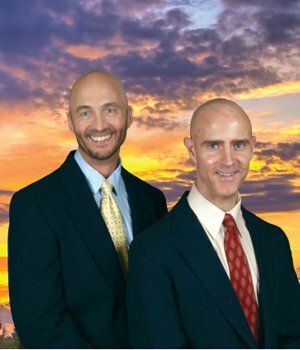 Be sure to see all of our Thom and Rory Five Star Reviews. We have been fortunate to have helped over 700 buyers and sellers acheive their real estate goals. We are looking forward to helping you as well. Selling Jupiter FL homes won't be a stressful ordeal if you make the smart move of choosing the right REALTORS®. It's your first step to ensuring that your investment in your home pays off. The Thom And Rory Team services and experience allow you to focus on your move while we manage all the details of the sale of your home from the initial consultation to the closing table, and beyond. Are you considering Selling? Contact us and find out how we can help you maximize and keep your equity. We pride ourselves on repeat business and we know you’ll come to understand why.